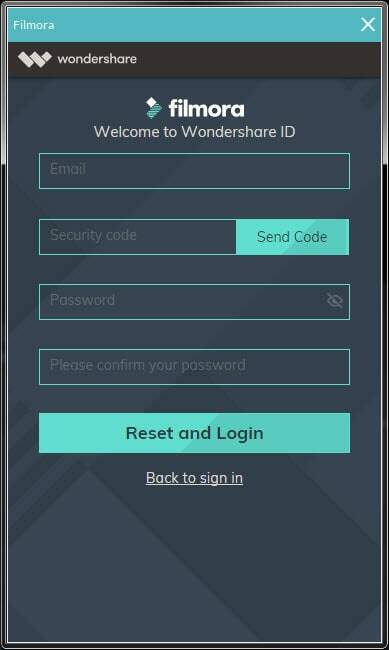 If you forgot your password or get the error message “User name or password error”, you can retrieve your password with your Wondershare ID. In the sign-in window (you can access sign-in window via Filmora or via Filmstocks), click Forgot password. 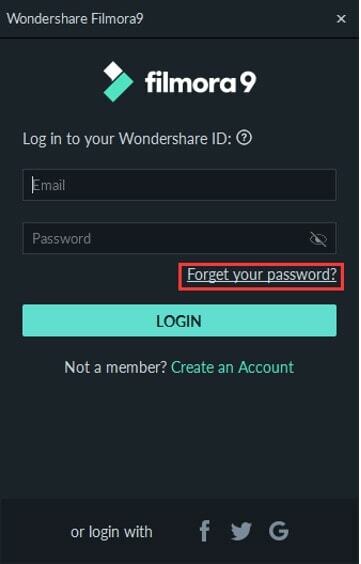 In the Forgot password window, enter the email address associated with your Wondershare ID and click Send Code. Enter the verification code you receive. Then, enter your new password twice to confirm and click Reset and Login. Sign in with your Wondershare ID (you can access the sign-in window via Filmora or go the Login page via Filmstocks), click the Account icon and choose “Change password” (via Filmora) or click the “Manage account” and then go to Account tab to change password (in Filmstocks). If prompted, enter your current password to verify your identity. 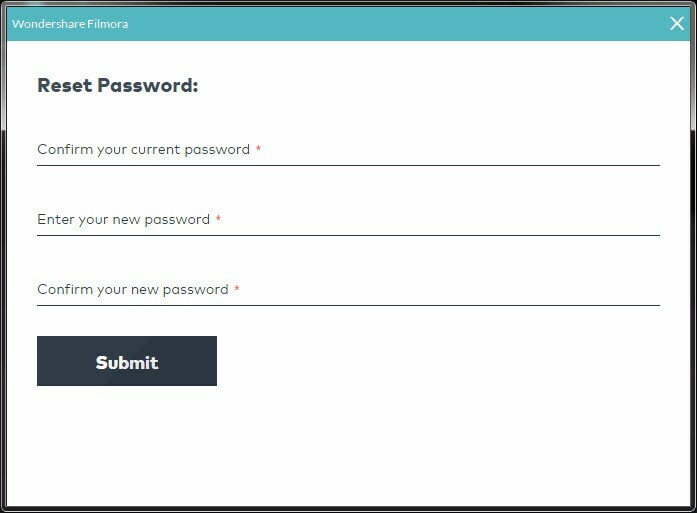 Then enter your new password twice to confirm and click Submit.